That was seriously one of my biggest breakthroughs in internet marketing. I’m sure you’ve experienced similar situations before. Like many other new marketers, I struggled with monetizing my list. I had a growing list… But everytime I tried to monetize by promoting things through my email, my results were just plain horrid. Ask yourself… have you faced any of these similar problems? If any of the situations above resonates with you… You are definitely not alone. I urge you to pay close attention to what I’m about to say because the results I’m going to reveal might change your life! I understand what it was like having an unresponsive mailing list. It didn’t take me long to realize that I had to do everything in my power to turn my list into a gold mine or I’d be starving on the streets because I wouldn’t be able to pay my rent! I then set out to find and model every single expert internet marketer there is. I’ve tried and tested everything to see what works and what doesn’t. And finally… after years of testing and research… I’ve come up with the ultimate solution of email marketing. The Ultimate Email Marketing Guide To Improving Email Campaign Results And Boosting Profits! It doesn't matter if you're a total newbie- You can learn from it fast! Will this help me make money fast from my email list? Short answer: This isn’t some “shiny object” that blatantly promises money from the sky. What it teaches is solid email marketing strategies for improving the results of your email marketing campaign. Your results would ultimately depend on how diligently you practice your writing and also how passionate you are about helping your customers solve their problems. -Most definitely! The steps to these proven email marketing strategies have been mapped out clearly in this guide so that anyone – whether a novice or beginner can start using and building their list immediately! 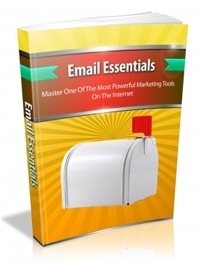 -Here’s the good news, NO.I want everybody to be able to have access to these great email marketing secrets because I knew what it was like struggling as a small marketer, with no knowledge about email marketing or copywriting at all in my early days. I want this ultimate guide to “jump start” your marketing success with the powerful techniques outlined in this guide. You’ll never have to pay a single cent to so called “Marketing Experts” to teach you how to market to your list. These secret email tactics are only known by a select few of top marketers, and you’ll be getting access to these precious jewels immediately! Thousands of dollars are being left on the table just because people fail to write proper email copies. Isn’t about time you changed things? You’re marketing buddieswill be begging for you to teach them your secret email marketing strategies and even pay you for consultancy fees! With your newfound email marketing strategies, you’ll easily cover your investment in this guide and starting raking in tons of cold hard cash!